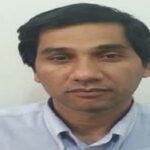 HRANA News Agency – Shapour Rashno, a political activist who had previously been sentenced to imprisonment in exile on charge of propaganda against the regime and had been detained in Ahvaz’s Intelligence Office for a while, was finally exiled to Adel Abad prison in Shiraz to serve his imprisonment sentence. 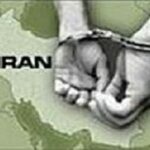 HRANA News Agency – Shapur Rashno, an activist in Andimeshk city, has been arrested by Intelligence Office’s agents in Ahwaz on January 7, 2018. Despite several weeks since being arrested, he is still deprived of the right to have a lawyer. 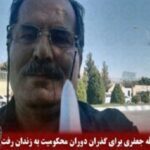 HRANA News Agency – Ezzatollah Jafari, political activist from Khuzestan, went to Kerman Prison to serve the one-year sentence in exile. 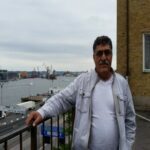 Mr. Jafari is one of the defendants in the case known as “Mother’s Library” in Andimeshk. 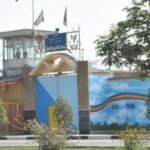 HRANA News Agency – All of the recent arrestees of Andimeshk city were transferred to the security ward of Karoon prison in Ahvaz. HRANA News Agency – Violent attack by the security forces to arrest Shapour Rashno, civil activist, caused his wife to have an abortion.